A few weeks ago, while attending the 2017 New York Digital Signage Week, RMG’s VP, Retail Practice Leader Dina Townsend participated in AVNation and Primeview’s live broadcast. 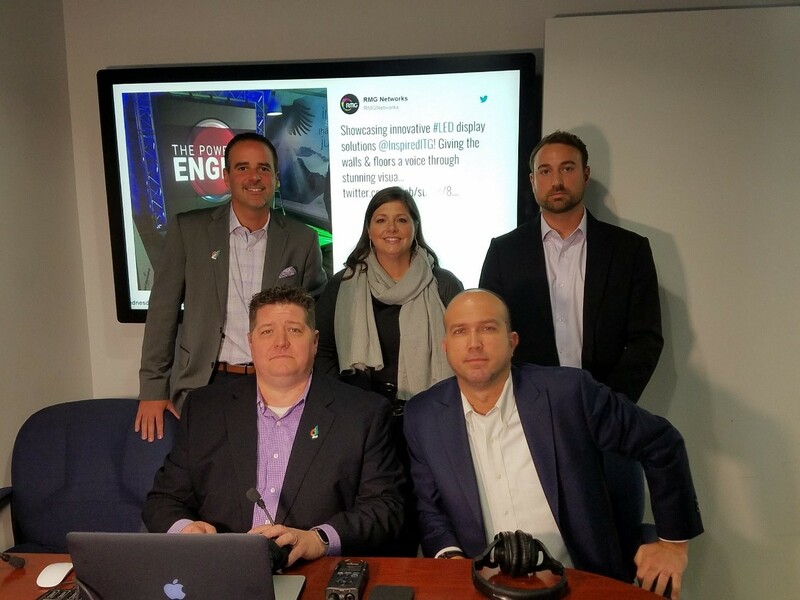 The podcast panelist dove into the topics of content creation, metrics, unique user experiences, data applications and what’s next for the digital signage industry. Below is an excerpt from the live podcast between AV Nation host, Tim Albright and RMG’s Dina Townsend highlighting the value of using a powerful and intuitive platform that seamlessly and easily integrates with a variety of different data sources. Tim Albright: So, what is Korbyt? Dina Townsend: Korbyt is our new platform for RMG that functions as an intuitive ingestion engine. One of the things we’ll probably talk more about here at Digital Signage Week is how collaborative the process really has to be and how many different solutions, whether its data points or other third-party applications, can come together to make these incredibly robust experiences. The role of the [digital signage] platform has changed to become more of an ingestion engine … to make that type of reach a little more possible. Tim Albright: Explain the ingestion engine part, is this where they’re bringing in content whether it’s video or static images? Tim Albright: ... Like live video to see who’s consuming it? Dina Townsend: Yes, that’s right. But I think the issue there is that the integration has to be easy. Because doing that is possible, but it isn’t always easy. So, having a platform with some sort of core that makes those integrations easier takes the handcuffs off the enterprise and makes more things possible.